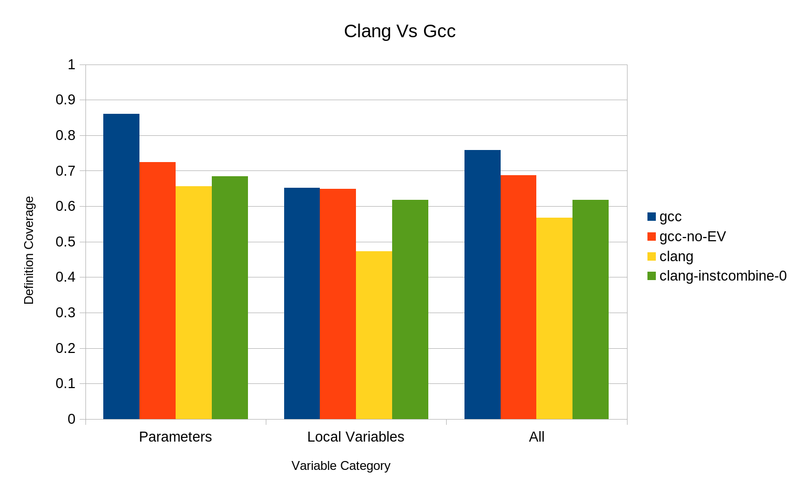 This would be a good smoketest for whether the debugging experience with clang-cl is liable to be any good, and it would ensure that our crash reports with a clang-cl compiled browser would be reasonable as well. before looking at this, else you'll likely get lots of 'value not available' in your dumps. Seems like this ship has sailed at this point, eh? FWIW this was on my radar but I was deliberately waiting to see if anyone complained about debug quality before we applied this. I guess we can reopen if/when needed. According to the documentation for this option, it can lead to incorrect debuginfo, and I have no way of determining how often that happens. But Chrome is using this flag. David, thoughts on enabling this for Firefox? Given the potential downsides it's not an immediately obvious "let's do it". I would like to see someone demonstrate a real-world bug investigation where this flag made things better and didn't make things worse.